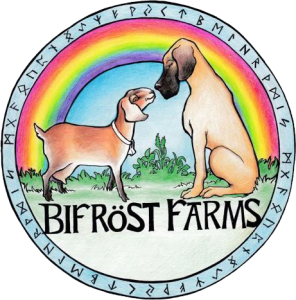 Bifröst Farms, in Boyceville, WI, is home to our boarding kennel, a farmstead goat cheese micro-dairy, several rescue Great Danes and a tribe of goats. There is no telling what else we’ll add in the coming years, but I wouldn’t be surprised to see a yurt sitting up on the hilltop out back where people can stay while enjoying the farm, milking goats and making fresh artisanal cheese. Heimdall (left) and Vala were the start of our love affair with Great Danes. 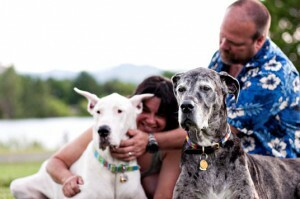 We are Joel and Meg Wittenmyer, and the farm is our dream, inspired by Heimdall, the Gentle Giant, and created for all dogs (as well as other living creatures which may inhabit it). 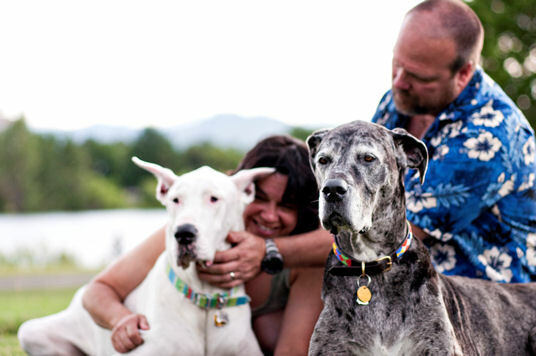 With over 50 years of dog experience between us, we treat your dogs as our own. And believe me, no dogs are more spoiled than ours. Joel’s expertise revolves around helping dogs with behavioral issues and Meg is a certified canine acupressure and massage therapist. We raise a herd of Mini-Nubian dairy goats who produce the high-butterfat rich milk for our artisanal cheese, soaps, lotion, and decadent Cajeta. 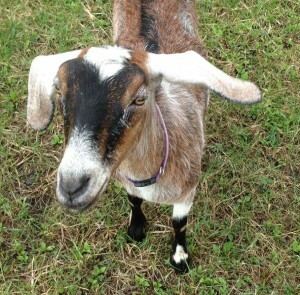 As on the rest of the farm, we maintain that the natural path is the most efficient and safest way to treat animals. 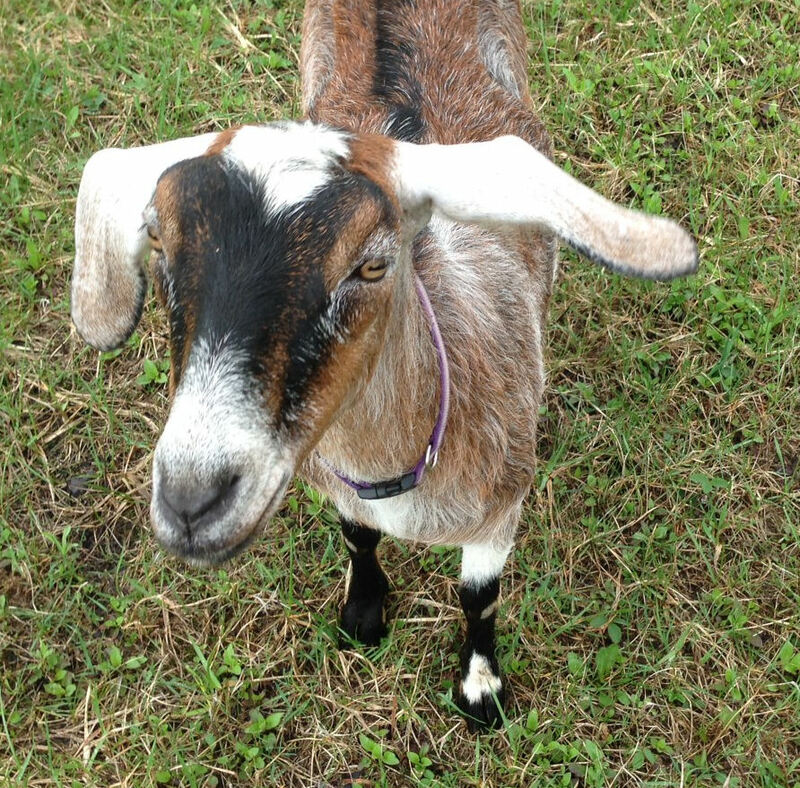 With a strong immune system and healthy diet and supplementation (all derived from natural means, not chemical) when necessary, our goats thrive and in return, provide us with the means to create wonderful goat milk products. We are building our herd from some of the best bloodlines in the country and hope to have kids available soon to pass on their amazing genetics. Kenzie loves to share her milk with us. Through the boarding kennel, Meg offers a selection of hand-picked, high-quality pet foods for sale on a special-request basis. See our Food & Nutrition page for a partial list of the foods available, including organic, grain-free and raw. At Bifröst Farms Boarding Kennel, there is never an additional charge for extra services, such as medicating your pet and providing extra exercise and pampering.